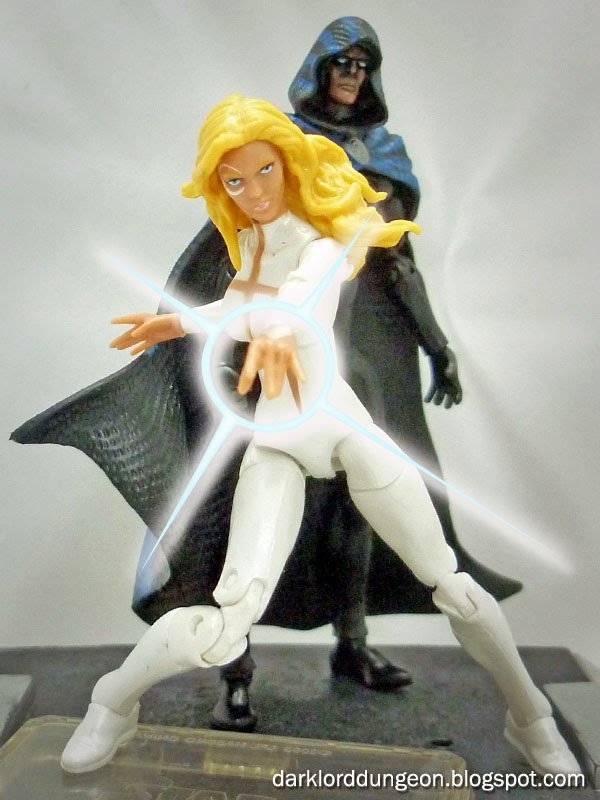 Presenting Cloak & Dagger from the final series of Marvel Universe Action figures, the Marvel Knights (Or so we're told). I've always liked these two but I've never really followed the Cloak & Dagger comic book series. The Marvel "Knights" did not quite interest me as much as the groups did - except for Daredevil of course. A little known fact about Marvel's Cloak & Dagger is that both have been members of the Avengers (Secret Avengers under Captain America), and the X-Men (Dark X-Men under the White Queen, and later the regular X-Men in Utopia under Cyclops). This is a peculiar honor because, unlike Wolverine, Storm, Rogue, Sunfire, Havok, Quicksilver and the Beast, neither of them are mutants. They were with the X-Men by circumstance, and they did leave after a while. The only other person I believe to have done this would be Dane Whitman, the Black Knight, who was I believe a member of Excalibur. Presenting bounty-hunter Zam Wesell fromt he Star Wars Vintage Edition series. Now for the uninitiated, Zam Wesell is a Clawdite - a member of a reptilian shape-shifting race capable of mimicking human appearance. Because of this, despite the fact Zam Wesell is depicted as a female.... I'm not really sure she is. Jango Fett certainly didn't treat her as a female and even Zam is credited - when faced in a compromising situation with Jango - that she is "sometimes a lady." So since he/she/it's gender is never defined, we will be looking at Zam Wesell as a woman. Zam Wesell had a very short role in Star Wars Episode II. 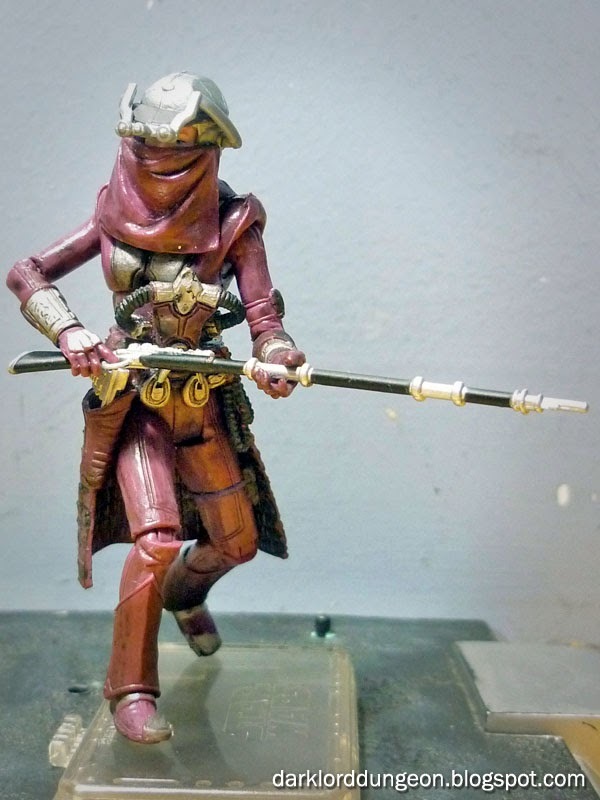 She was the bounty hunter who was killed with a poison dart by Jango Fett before she could reveal to Obi-Wan Kenobi the identity of the people who wanted to have Senator Padme Amidala killed. Presenting Cosplayer Kitty Young as Harley Quinn. Kitty Young Cosplay is really Keyana Young from New York City. She's in love with Mr. J and we're in love with her not just because she really looks hot in a two-piece black and red custom number, but because she really does make a wonderful looking Harley Quinn - I daresay she actually is the best looking Harley Quinn Cosplayer I've seen to date. The young Kitty Young just has that vivacious, carefree, wide-doe eyed enthusiasm for life that I believe embodies the character of Harley Quinn (Of course I left off the psychotic part, but that's not necessary for a cosplayer). And she's not even a blonde. Most of Kitty Young Cosplay's Harley Quinn cosplay is through the lenses of Ron Gejon Photography. Do take the time to visit and like Ron Gejon Photography and Kitty Young Cosplay on Facebook. Presenting the GI Joe Mean Dog! 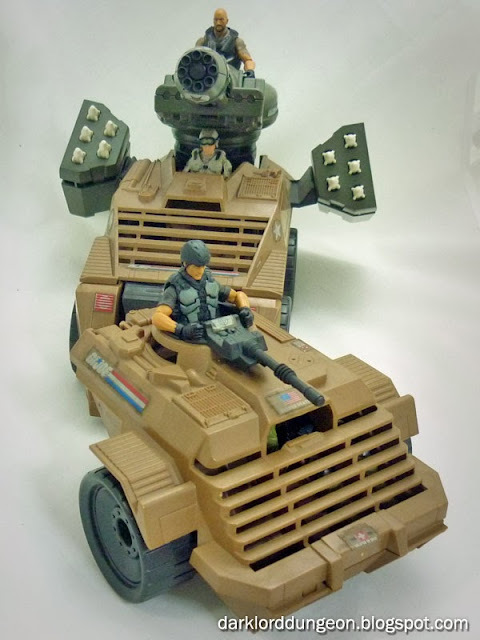 This is a very unique and rare classic GI Joe vehicle that my oldest friend traded for with me for a modern GI Joe Retaliation Ninja Cruiser and Ninja Commando 4x4 in the middle of last year. If you follow the Dark Lord Dungeon Instagram account, you would have seen it there and it's been waiting for an opportunity to make an appearance here. I love this vehicle! It's crazy! The Mean Dog looks like something cobble together for use by the Expendables. 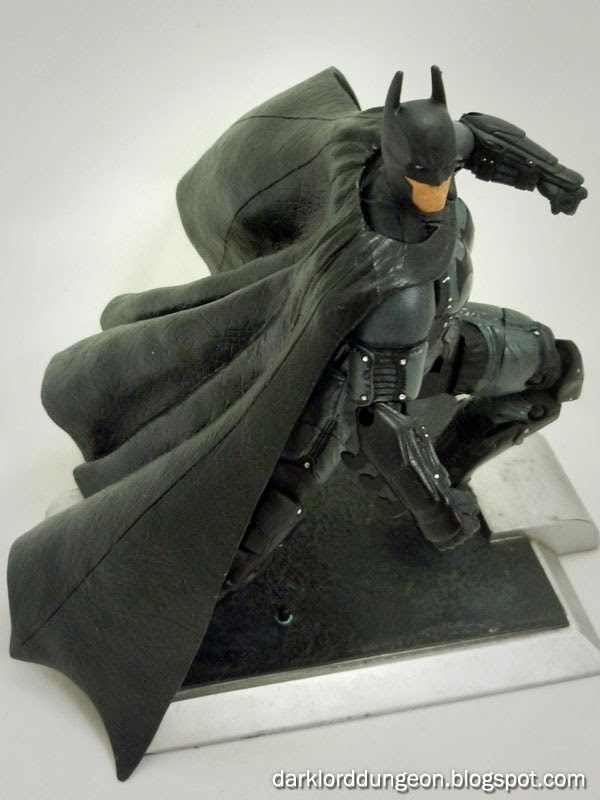 Presenting the Arkham Origins Batman from the Batman Unlimited Action Figure Series. So I finished Batman Arkham Origins over the Holidays, and I have to say that it does not disappoint. Arkham Origins is an excellent video game utilizing the same engine that we've all come to love from Batman: Arkham Asylum and Arkham City. Set during Christmas Eve in Gotham, it really felt apropos to play the game over the holidays. But seriously there is no way that Batman did all that in one night. It was also quite a treat to take on Deathstroke, Shiva, and a brand new genderbended Copperhead. I was however a bit disturbed when I had to take the Joker down. The guy had clearly had enough and the game wanted me to hit him again. I was like "seriously?!!!!" It was excessive. Still taking down the 12 assassins was fun. The Toy of the Year Awards 2013 in the Dark Lord Dungeon! 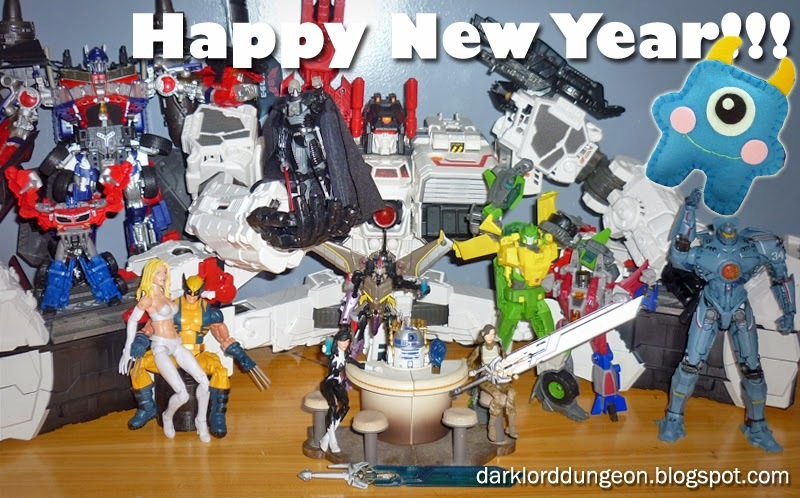 It's that time again when we go through all the toys that we've featured here in the Dark Lord Dungeon and give out the coveted title to that single toy that gave us - you readers and I - the most joy in 2013. One of the twelve toys - not counting the R2D2 bar, Metroplex and the Artwine Dark Lord Dungeon mascot, will walk away with this! This..... thing. (Oh who are we kidding? It's the Tedryn Holocron featuring the Jedi Guardian Vodo-Siosk Baas). Sadly 2013 was not a very good year for blogging/bragging, thanks to a very hectic professional and personal schedule. But we at the Dungeon are thankful for all of your support and patronage and for taking the time to visit the Dungeon and looking at the toys that dwell inside.